A perfect car for environmentally conscious city dwellers that crave something that stands out from the crowd and comes from a luxury brand. 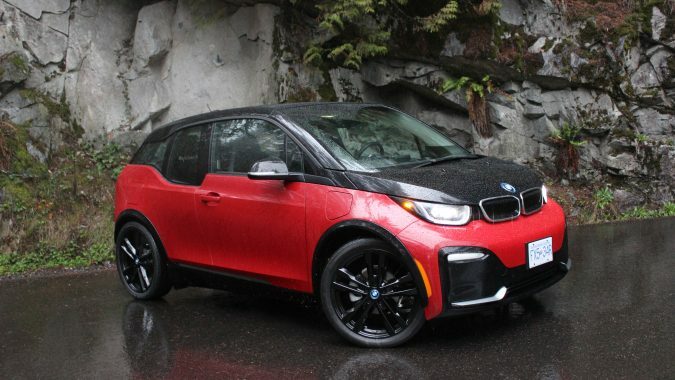 Lacey Elliott: When the BMW i3 first hit the roads, it was the most unique looking car I had seen. Fast forward four years and this still holds true. It is a car that breaks with convention on every level. 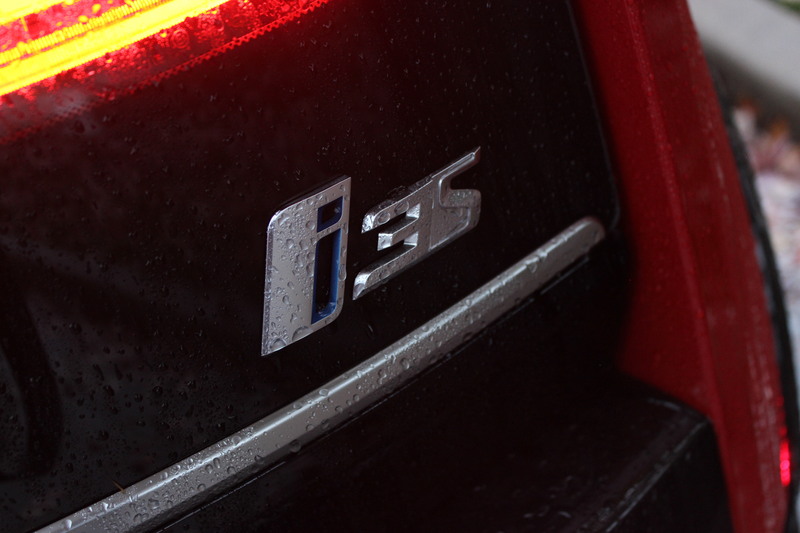 The BMW i sub-brand is a stand out name for electric cars on the market. With first class luxury and sustainability being two major design elements. I never got a chance to drive the original i3. Though it would be nice to be able to do a comparison, I am not complaining. 2018 brings some design changes to this little car. 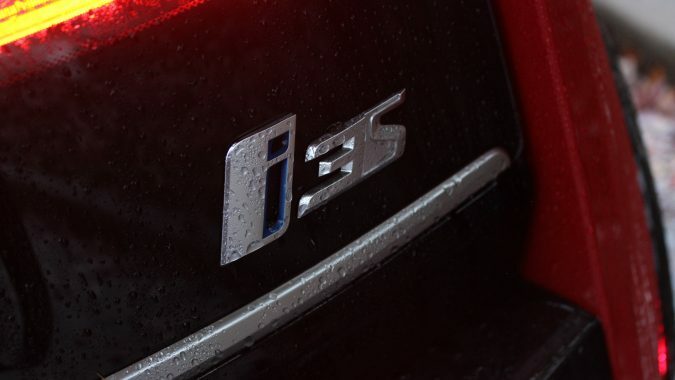 And, for the very first time, 2018 brings the introduction of i3s. The lowercase s signifies that this model gets a bit of sport added to it. The i3 is a city car. I don’t think I have seen one at all in the suburban area where I live! The avant-garde styling and uniqueness causes a lot commotion as I drive around my neighborhood. Dan Heyman: I guess as a guy who took the famous “gas can for a brain” line from The Fast and the Furious as a cop complimenting Dom Toretto I’m supposed to dislike all things EV, but I can’t say that at first blush, I dislike this. Somehow, BMW has made an EV car look futuristic without being annoying about it (*cough* Honda Clarity and Tesla X *cough*). 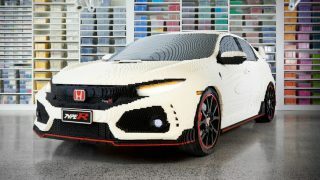 I think it looks cool, like I thought cars of the future would look like when I was a kid. Further, among all the cars I’ve tested since the i3 arrived, I’ve never had the chance to spend much time in one and this was my chance. So, how did it shake out? LE: Let me say this right away; I am not a fan of how it looks. My feminine side feels that styling is one of the most important things to consider when buying a vehicle. I am convinced that if I can’t get on board with the styling, I won’t get on board with how it drives, either. With that being said, this is the perfect example of beauty being in the eye of the beholder. 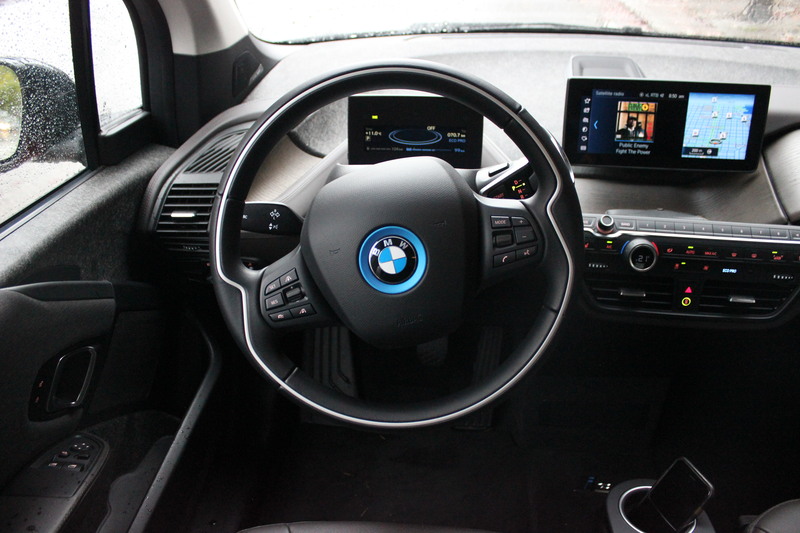 This BMW i3 has already picked up the World Car Design of the year award and the iF Gold award for product design. Obviously, many people feel very differently about this car’s quirky appearance than I do. This year sees the addition of horizontal lines on the exterior, giving it a more athletic appearance. 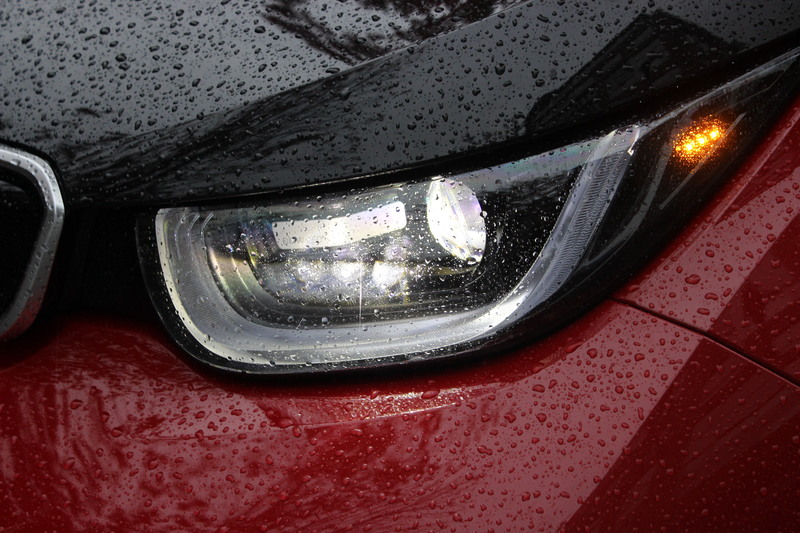 The front facia’s side sections have a thin border on the lower edge that also accent the width of the car. 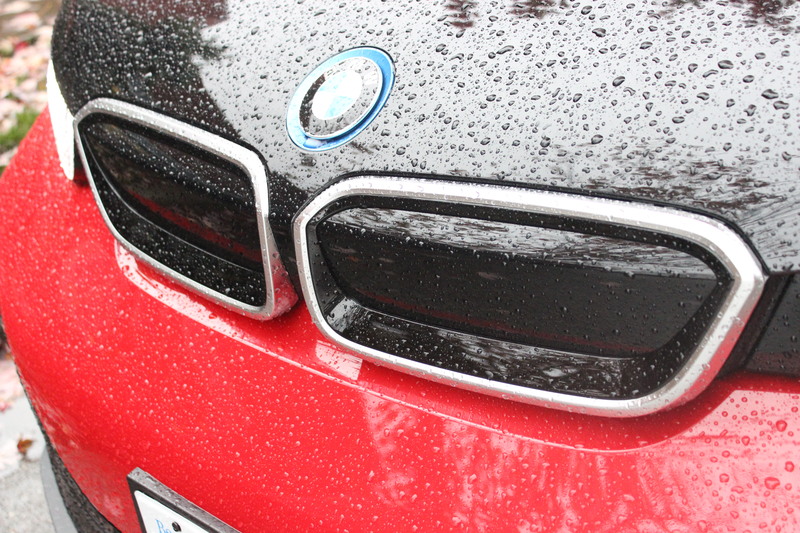 The closed BMW kidney grille has been painted a glossy black that makes it pop. 2018 also brings wider tires. They are not wide tires by any means, measuring about the same width as some subcompact cars. But, a small change like this means the tire takes up more space in the wheel well, creating a more robust stance below the belt line. 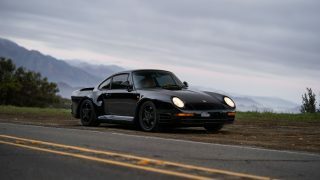 It also creates a wider track for a more grounded feeling on the road. The unique and modern design is carried into the interior as well. Different than any other car I have been in, I struggle to get it started. After a few minutes of exploring the interior layout, I find the push button ignition. 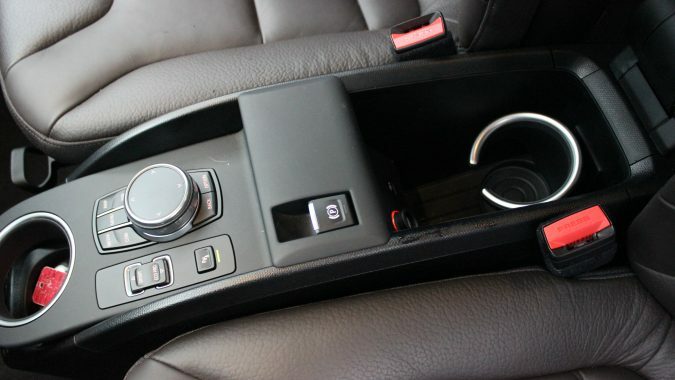 It’s located on a thick lever attached to the steering column and it is a design cue that will take some getting used to. I adjust very quickly to the rest of layout and realize how intuitive the design actually is. Rooted in the LifeDrive vehicle architecture the design is easy to figure out. I am blown away by how spacious this interior feels. No fixed B-pillar and no transmission tunnel are two elements that help to deliver this open feeling. 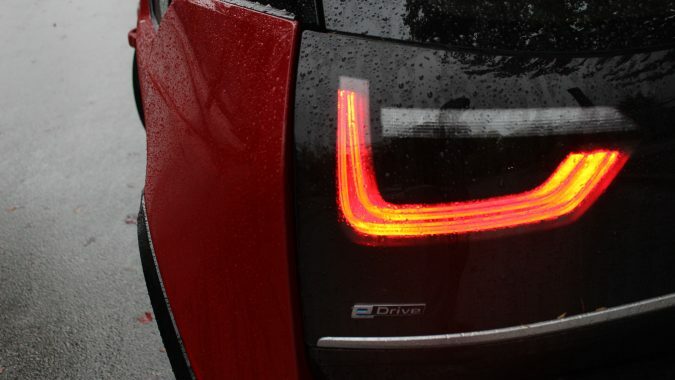 Environmentally conscious owners will appreciate that driving this i3s is about more than just zero emissions. 80 per cent of the interior surfaces are made from renewable resources or recycled materials. Gorgeous looking open-pored, unbleached eucalyptus wood, and natural fibers are scattered throughout the interior. A fabulous mix of funky styling and upscale finishes that are eco-friendly. The four doors open in opposite directions. This means that the rear door is hinged at the back. When parked in my driveway with plenty of space, this styling cue creates a huge advantage. 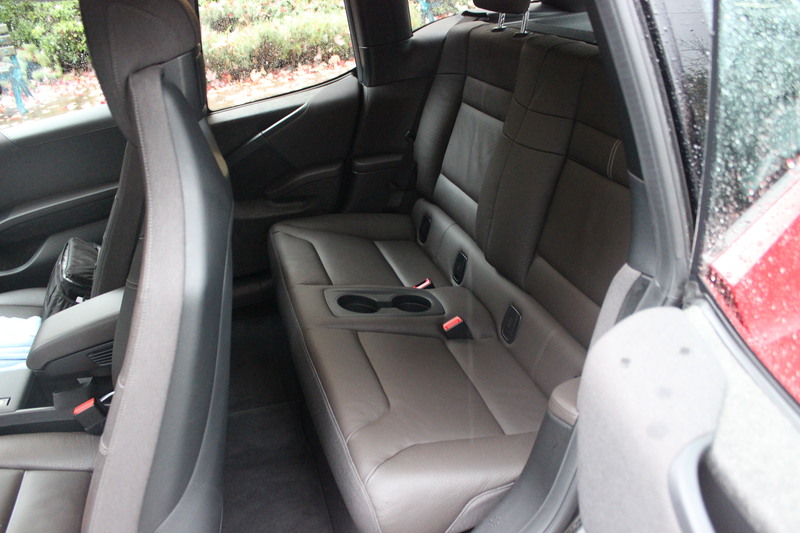 The extra wide opening allows for larger items to easily be placed behind either of the front seats. It is easier as a solo traveler to get belongings from the back seat. I don’t have to shut the driver door, then open the passenger door to grab stuff. This turns into a massive disadvantage however, when parked in a crowded lot. With vehicles on both sides and both doors open, there is no way out for stuff or people until you close one of the doors. It takes a bit of a dance to figure out the best way to manage this door system when you have more people and things. 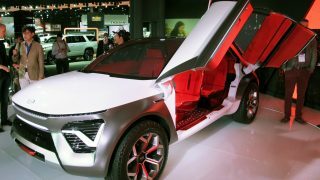 These doors are another element that make this an ideal vehicle for city life. Street parking will allow the maximum use of these doors. DH: Lacey is 100% right on the spaciousness thing. 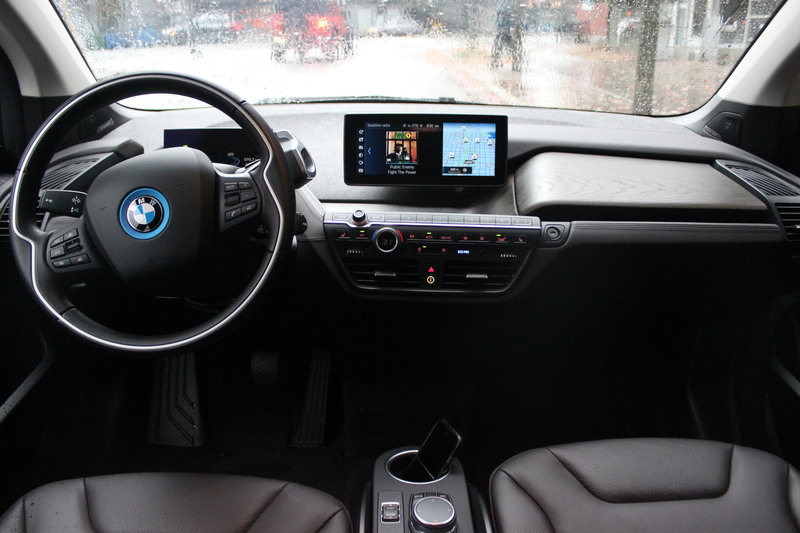 The i3 is a car that feels large inside, all that much more so because you know how small it is from the outside. 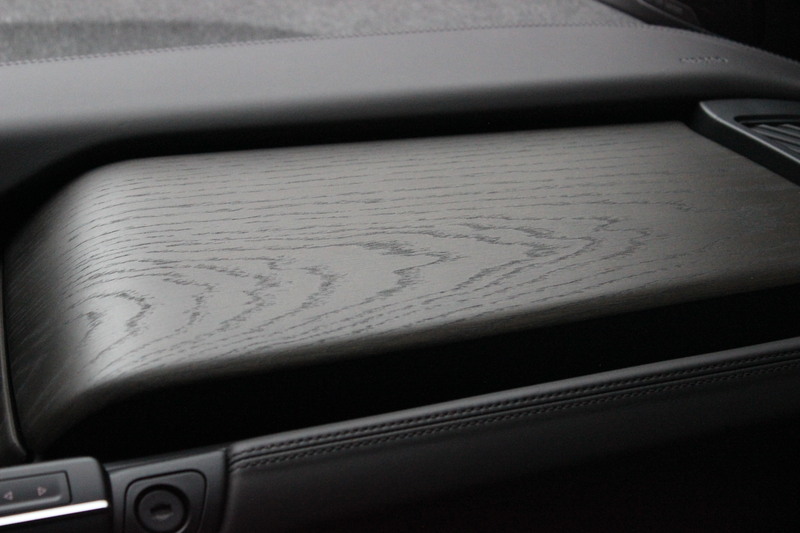 That great open-pore wood draped all over the huge dash in front of you is very modern. And the way both the central gauge cluster and infotainment screen appear to float above the dash gives a cool impression that the car is kind of alive around you. It also makes room for a storage bin beneath, perfectly fit for cell phones and even tablets. 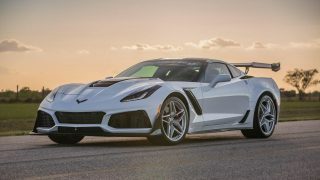 It’s really neat, and it’s exactly what the doctor ordered for a car like this; it ensures that it’s a comfortable place up front even for bigger occupants like yours truly. I wouldn’t love spending too much time in the back seats, but the rear-hinged doors do make them easily accessible for whomever’s going to be clambering back there, regardless of height or girth. 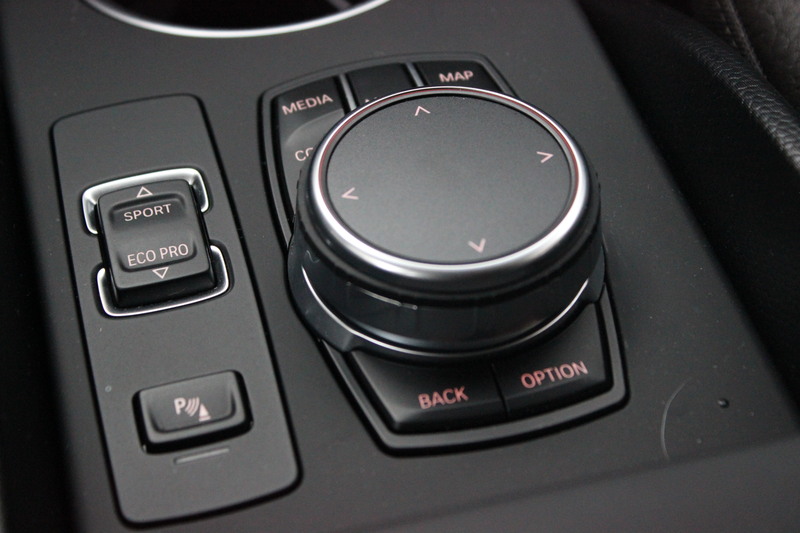 Lacey mentions the weird start button/shift handle and I agree; it’s a pretty awkward affair that kind of seems techy just for the heck of it. 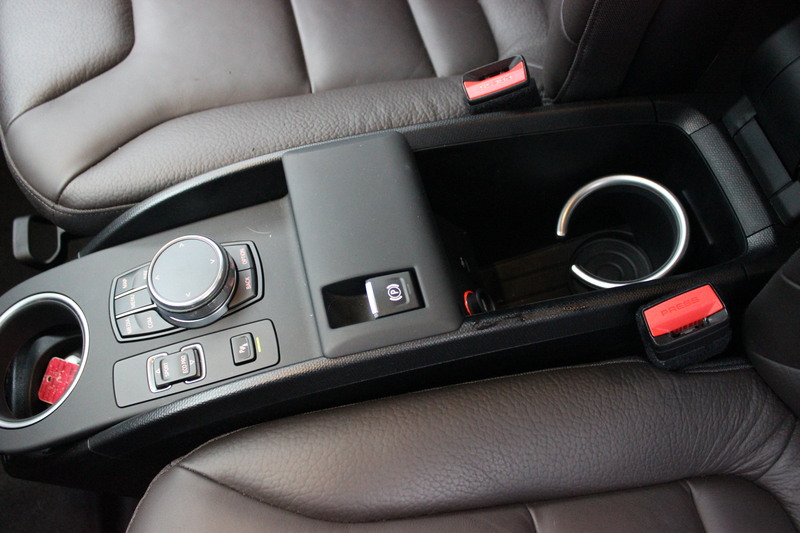 Like her, though, I do appreciate how it makes for a less intrusive centre console that allows you to store large items between the two front seats below the dash. The one aspect of the interior design that fell firmly into the “once seen it can’t be unseen” category is the steering wheel. For some reason, it always looks upside down to me, even when it’s right side up; kind of lends an air of broodiness to the dash as a whole. 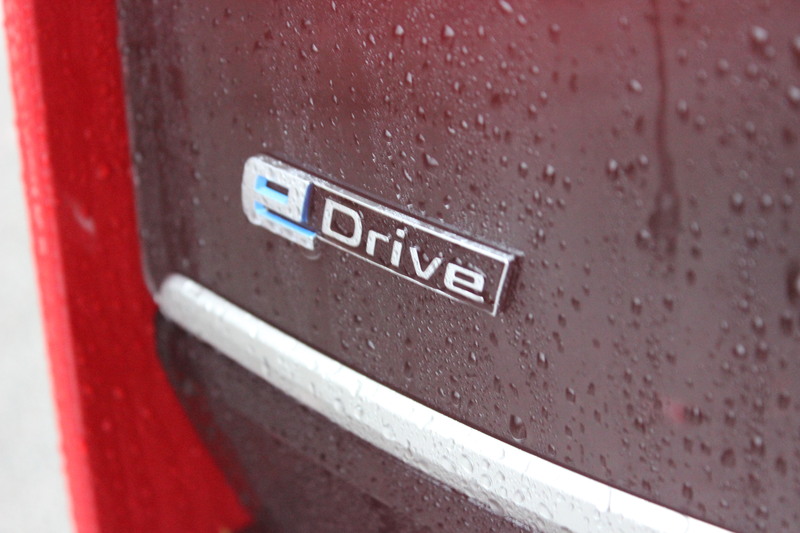 LE: Driving this little i3s is a very enjoyable experience. I shouldn’t be surprised, after all, it is a BMW at heart. The handling, ride and comfort all impress me. In no time at all, my personal dislikes about the styling vanish. Acceleration is fast. Without any hesitation, putting my foot on the accelerator makes this car leap forward. 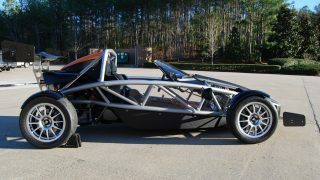 The electric motor generates a max output of 170hp. This is part of the sport that separates it from the standard i3; it is an increase of 14 horses. A bit more torque is also on this model, which generates 199lb-ft of it. This slight power boost means this sport version of the i3 is faster than the Chevrolet Bolt, Volkswagen e-Golf and the Nissan Leaf. 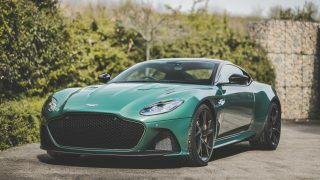 Match the instant acceleration to a single-speed automatic transmission and it delivers continuous power as this car gets up to spend and the result is pure delight. 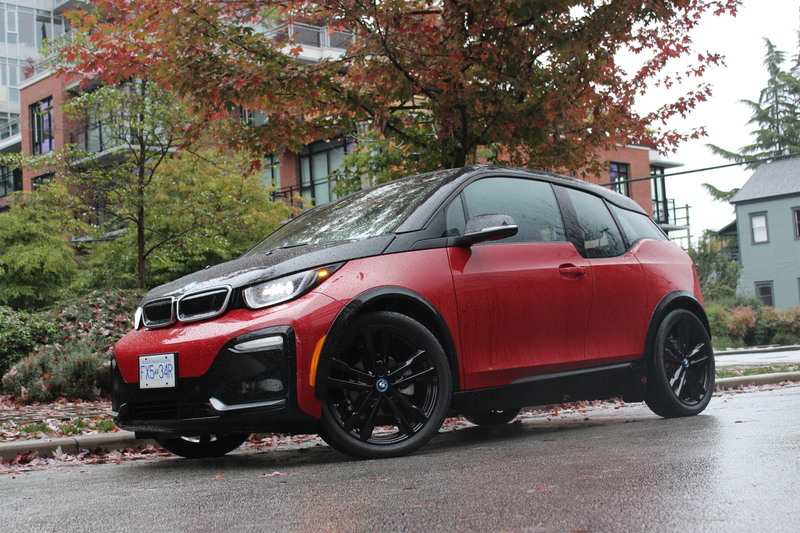 Zipping around the downtown core proves to be the sweet spot for this i3s. Capable and comfortable with the stop and go demands of busy city life. The traction control has been updated to deliver a faster response time and the Dynamic Stability Control (DSC) system has been optimized. 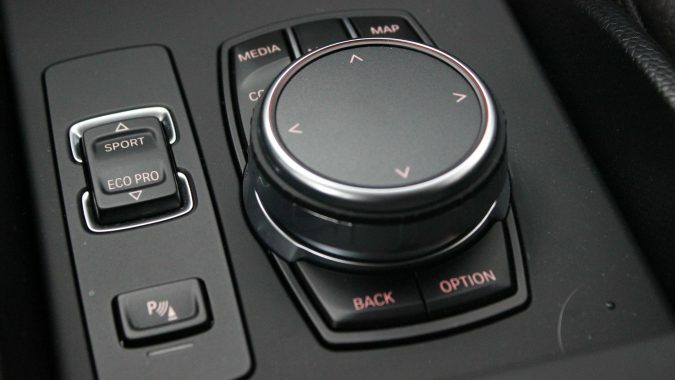 As before, the i3 offers drivers a choice of drive modes that can be easily selected using the Driving Dynamic Control Switch. The 2018 i3s adds sport mode; giving a more direct accelerator response and tighter steering. Stiffer springs, dampers and anti-roll bars deliver a ride that is firm. 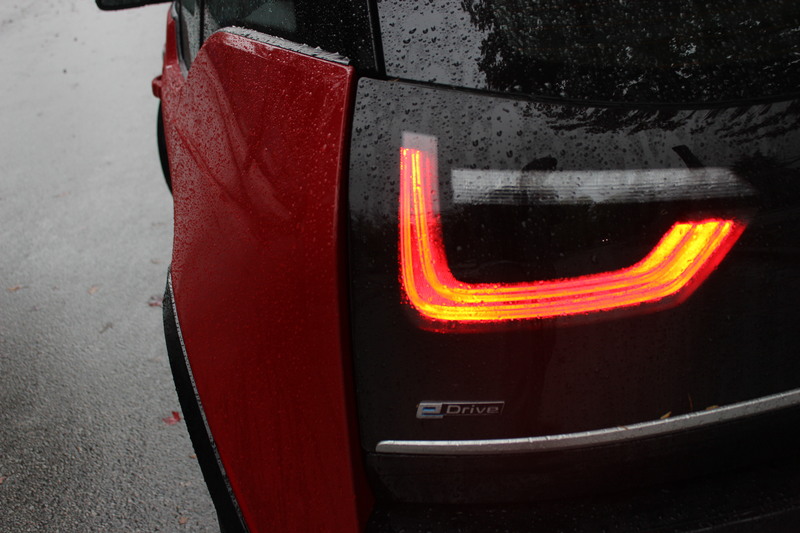 Thanks to a slightly lower body height the i3s flows through corners. A drive on the highway solidifies that the i3 is happiest as a city car. Anything over 100km and the steering is touchy. DH: 199 lb-ft of torque, available instantly?!?!? Sure! Why not? 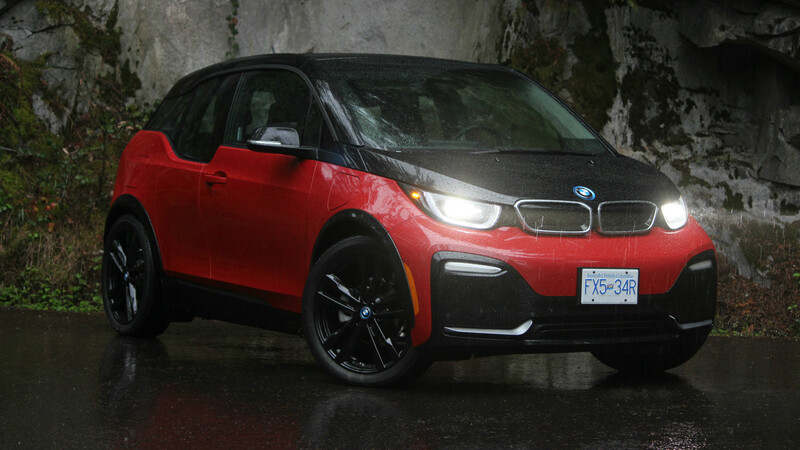 This is the “S” model, after all, and while BMW hasn’t yet allowed the folks at their “M” skunkworks get their hands on the i3, this is as close as we’ll get for now to an i3 M. It adds a layer of cool to what is generally kind of a geeky car. With power coming as soon as you tip in the throttle, you’ve actually got to make sure to keep an eye on that speedo because you’ll be moving at a pretty good clip in fairly short order, and with no engine sound to warn you about it. As Lacey says: it’s at its best when squirting from stoplight to stoplight or in-between cars during rush hour, which is to be expected. 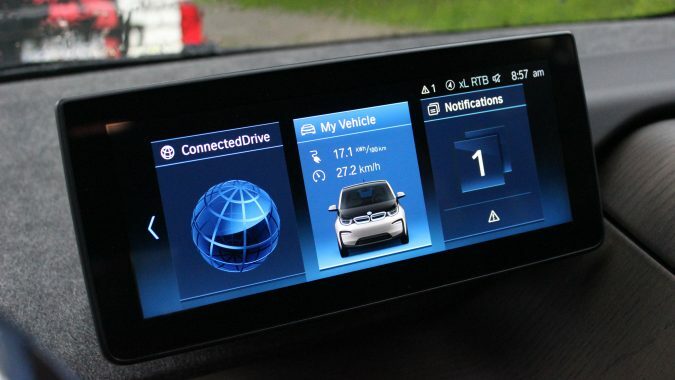 Less expected is what happens when you activate “Sport” mode – a first for the i3 and available only at “s” level. It will seriously push you back into your seat at this point; well, relatively in that you’d never expect an EV city runabout to ever push you back into your seat at all. I won’t say it’s M5-like in its acceleration (duh), but darned if it doesn’t put a smile on your face anyway. Same goes for steering response; because this is a car that wants to be easy to thread through the urban grind, it kind of needs to have a quick steering rack to best make use of that short wheelbase. Yes; it makes it a little more nervous on the freeway, but a whole heck of a lot more involving if you happen to be on a twisty road, as I was. I’d do it again, too. LE: The 120V chargers we all have at home will deliver a full charge overnight. 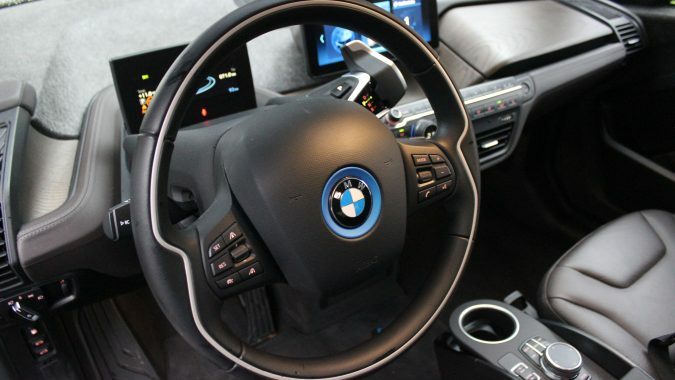 However, the user-friendly BMW i Charging station can do it about five times faster. 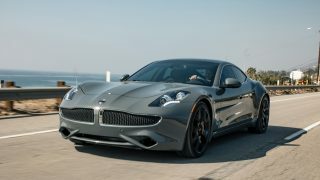 Supplying 7.2kW of power it puts out enough charge in just three hours to give 150km of driving. 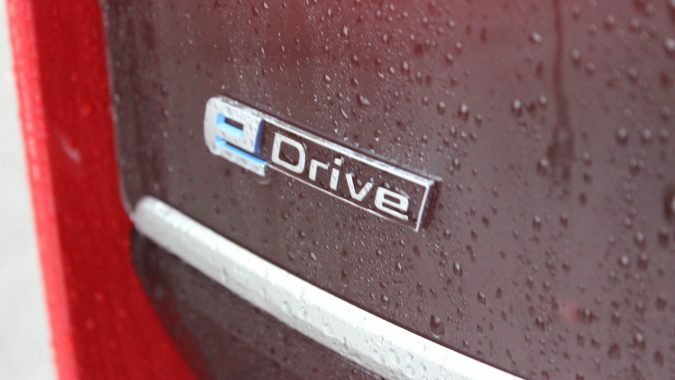 Catering to the needs of its owners, the enhanced BMW iConnectedDrive delivers information on services aimed specifically around electric mobility. The range map gives visual information of the operating radius. Information about public charging stations are displayed right on the navigation systems map; there’s no need to use a third party app. 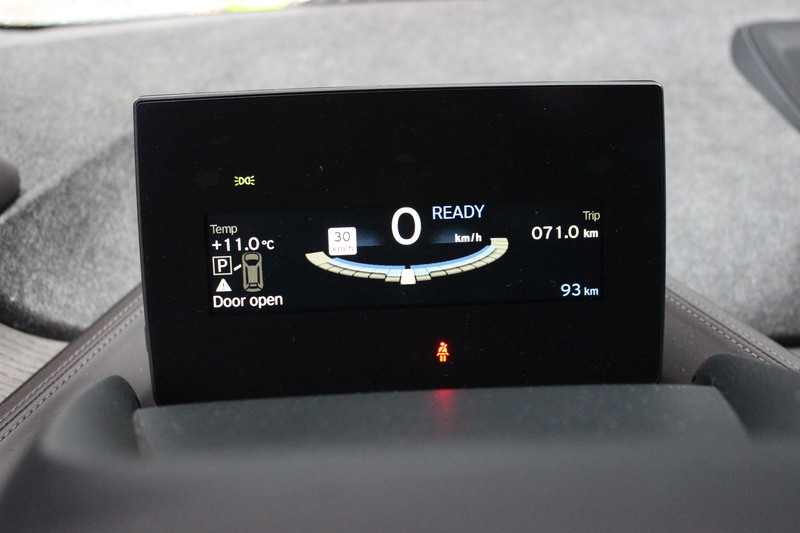 Choose your route and the range information is automatically calculated and shown in the instrument cluster. After having a few mishaps with my available range in other electric vehicles, I have a huge appreciation for the systems BMW uses. The Driver Assistance Package on this little BMW is $2350. 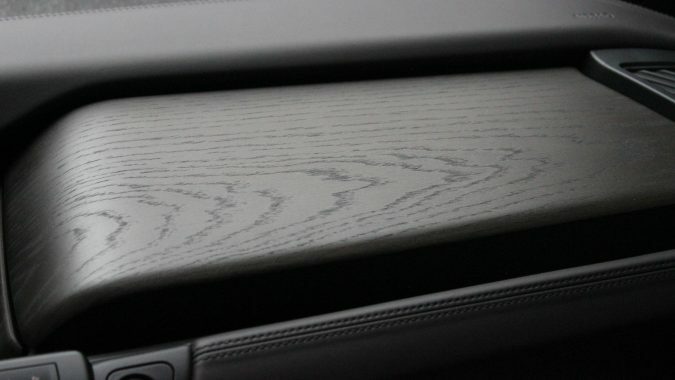 Adding smartphone Connectivity, Apple CarPlay and Driving Assistance Plus. 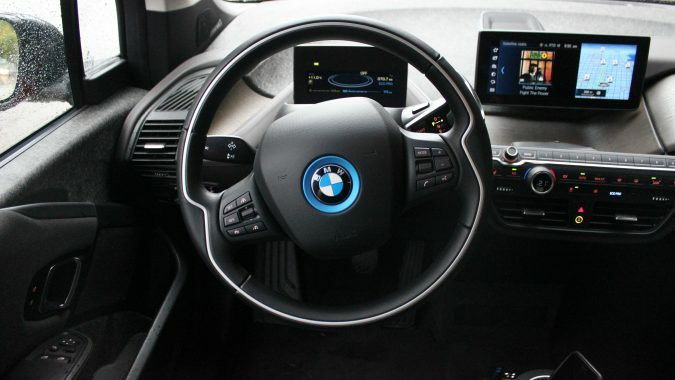 BMW is one of my favorites in the industry for connectivity. Once the car has been paired to my iPhone, it continues to connect seamlessly every time I get in the car. My test car also has the Premium Package for $3,500. Optional equipment that I personally wouldn’t want. Comfort Access, smokers package, universal remote, Harman/Kardon Sound System and on-board navigation are most of the items added for this price. 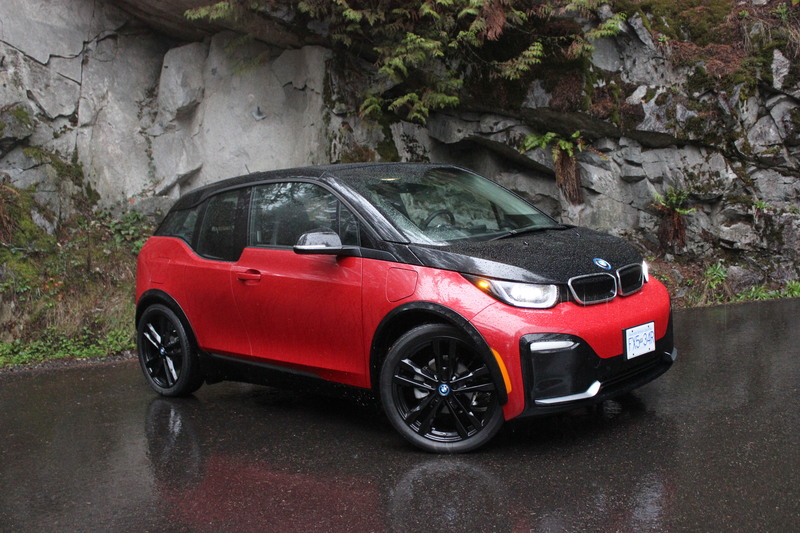 This i3s can be fitted with a 2-cylinder gasoline range extender for an additional $3850. This means it will run on gas after the battery is depleted. With a full electric range of about 150km, you shouldn’t need it on your daily commute. An additional feature that would be nice to have but not really needed if you just using this as a daily driver. DH: It’s great that the I Charging station can do that, but the fact remains that it’s a cost above what you’re already paying, and at over 50 grand – Fifty grand! 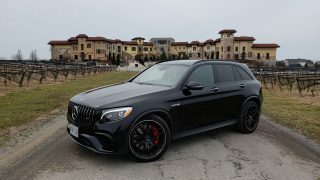 – you’re already paying a lot for a city runabout and it’s going to take you something like seven years or so (based on how much the average Canadian drives) to really earn back what you’re saving gas-wise over a 2 or 3 Series. 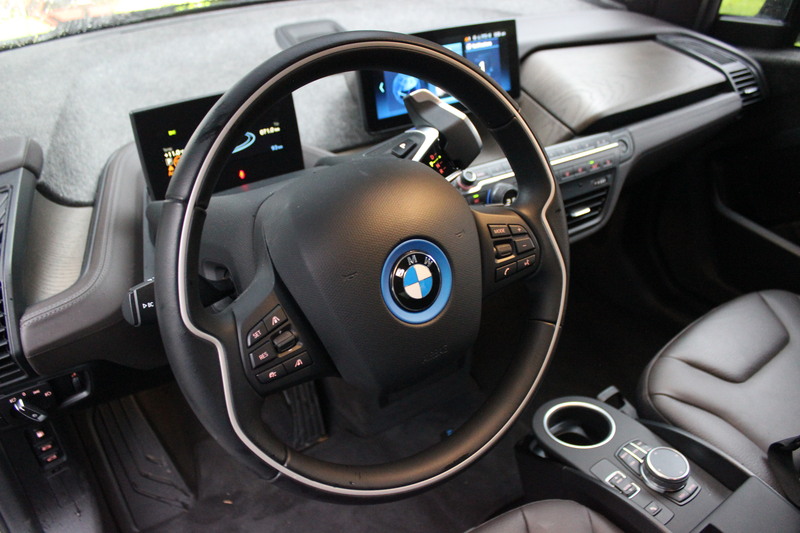 So, like all EVs, charging your i3 will take some strategizing, making that range-extender a little more appealing. 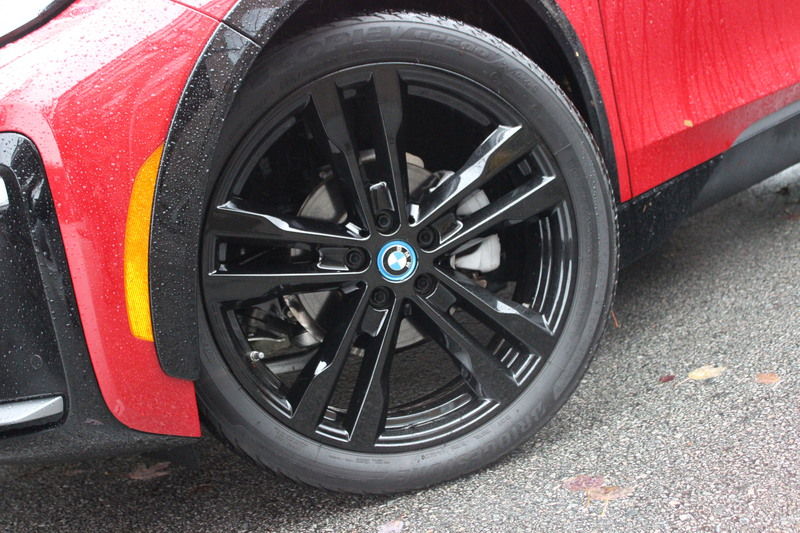 Otherwise, though, I like the i3s’ tech just like I do the similar tech found across the range. 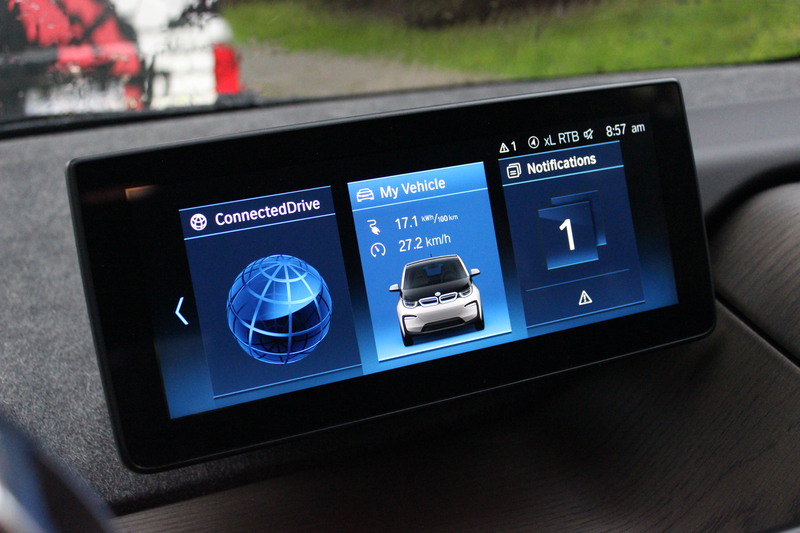 BMW’s iDrive (actually, it’s called BMW Connected these days but I’m not changing now) is intuitive once you get the hang of the nested menus, and it looks absolutely fantastic graphics-wise, even more so that it now appears on that way-cool floating screen. 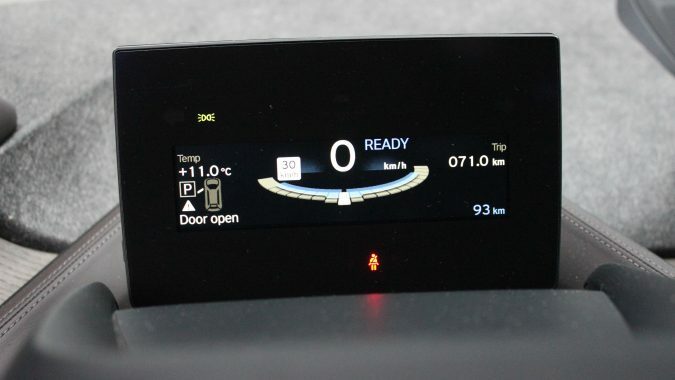 It just fits so well with the test of the I3s’ ethos, and it’s the kind of thing that EV buyers are going to focus on; just look at the massive screen in any given Tesla to see what I’m on about. While Lacey mentions there is no need for a third-party app, I did take the time to apply for a ChargePoint card just before I drove the i3s, and it made charging stations in my area that much easier to use – I suggest that if you’re in the market for this or an other EV vehicle, for that matter, you look them up. LE: Over the years, other electric vehicles deliver more range for less money. My i3s as tested is over $66,000. Add on the range extender and the price is almost $70,000. I don’t know if the updates and extra sportiness is enough to really wow people. With that being said, this i3s is an absolute delight to drive. I enjoyed myself so much that even its unique styling has won me over. 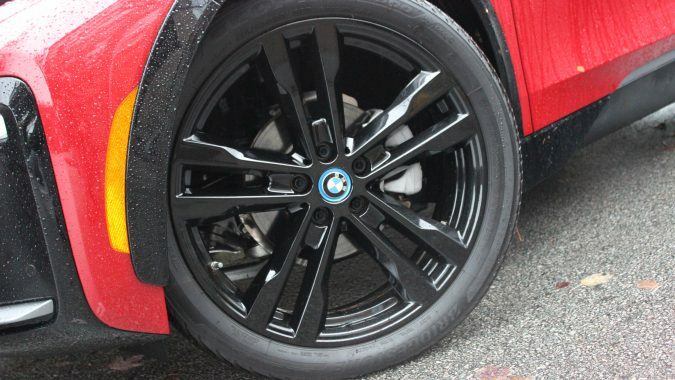 It has phenomenal road manners, one of a kind styling and a little kick of sportiness for those that want it. A perfect car for environmentally conscious city dwellers that crave something that stands out from the crowd and comes from a luxury brand. 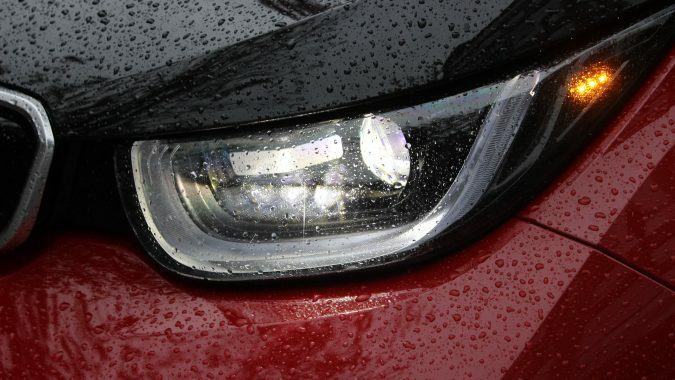 DH: I conclude this piece how I started: I’m not ashamed to say that I think the i3s is a cool car, and one that I didn’t have to feel like I had to wear a hoody (or paper bag) while I was driving it. 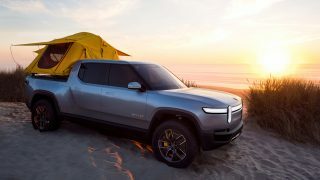 It’s chic without seeming like it’s trying too hard, and so easy to drive around town that it’s the perfect application for EV tech. There will likely be some sticker shock, though; it wold be nice not to have to lay out over 50 grand but at least for those in BC and Quebec, there are rebates to be had, making it that much easier to swallow.